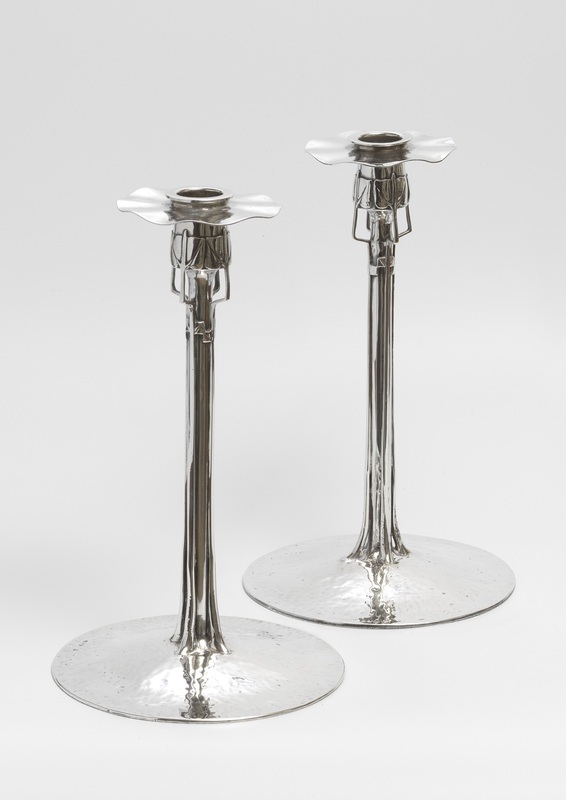 A pair of “Conister” candlesticks by Archibald Knox for Liberty & Co. This pair has unusual hand hammering to the base of both candlesticks. These elegant candlesticks are an iconic Knox design from around 1899. Featured in the Studio in March 1900, they were credited to Rex Silver who headed the Silver Studios for which Knox worked. We now know that these are certainly a Knox design, based on their style and the Manx name, “Conister”, given to the candlesticks on the original design drawing that survives at the V&A. 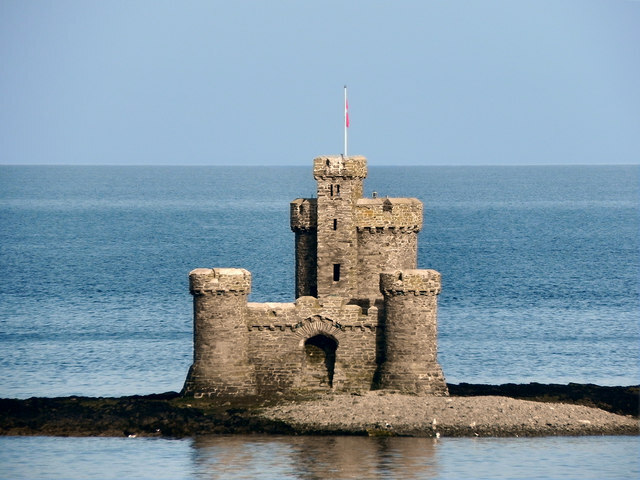 Conister is a small island and folly off the coast of the Isle of Man. See images. One candlestick is dated Birmingham 1905, the other the date mark is rubbed. Both sconces are removable and unmarked. 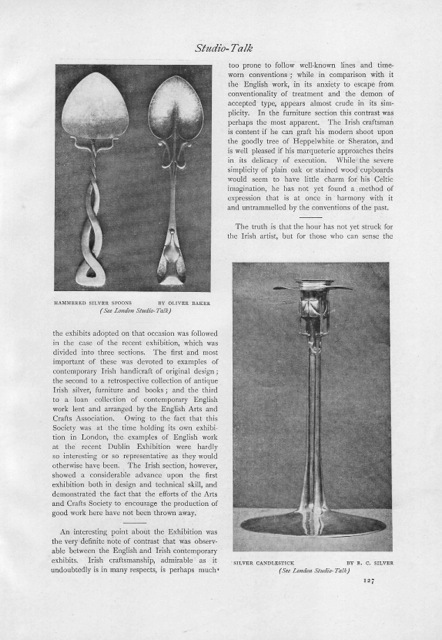 Some very recent research I have undertaken shows that a pair of Conister candlesticks were displayed at the prestigious 1902 Turin International Exhibition of Decorative Arts. See image. 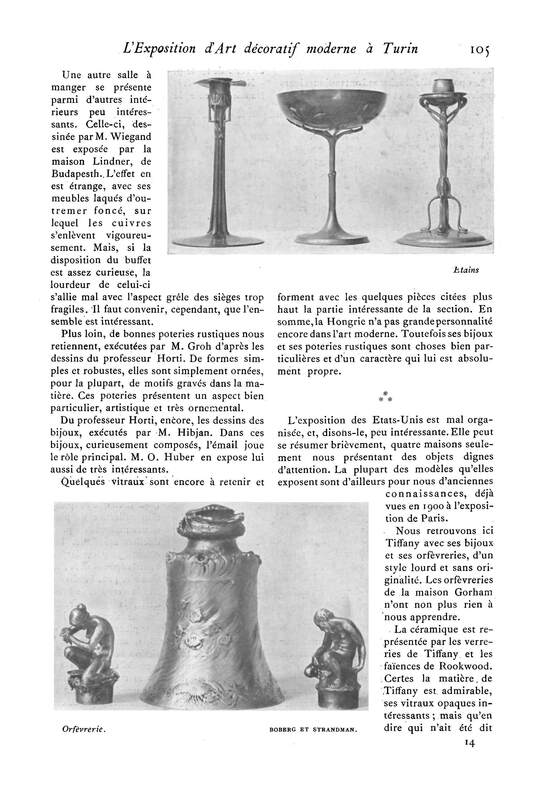 They are wrongly described in the French Journal in which they were published as “etains” (pewter) no doubt because they were left unpolished, as was typical of the early Cymric pieces.